Owning a portable Coleman grill is a great convenience, giving you easy grilling no matter where you are. 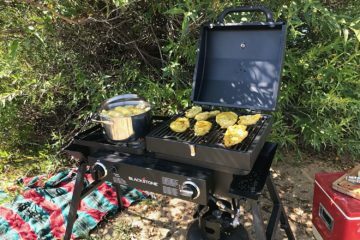 If you regularly go camping, if you like to take road trips, or even if you like fishing or hunting, then a small and portable Coleman grill can be a great investment. If you want to get the most from your grill then you need to keep it in good condition, and that can mean replacing parts when they have reached end of life. On a portable grill, the regulator assembly is one of the most stressed parts, and one of the first that you will need to replace. Here’s everything that you need to know about Coleman RoadTrip and portable grill regulators. What is a Grill Regulator Used For? 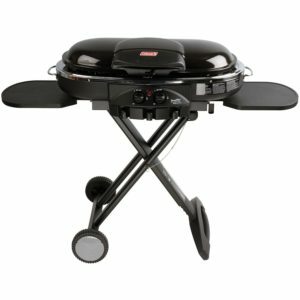 Portable gas grills use bottled propane as a fuel source. When you adjust the flame or temperature on your gas grill, you are actually controlling the pressure of the gas that is coming from the gas bottle. The regulator is the mechanism that controls the base pressure coming into the grill. If you have problems with your regulator, then it will be difficult to control the flame on your grill. You may find that the flame is too high, inconsistent, or may not be enough to maintain high temperature on your grill. Faulty regulators can also lead to gas leakage and can be hazardous. Thankfully, the regulator on your Coleman gas grill is replaceable, and it’s simple to do so when you have the right part. 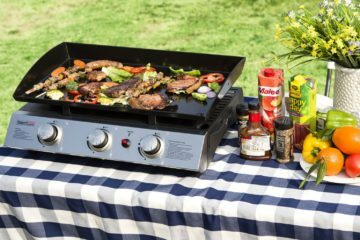 Coleman is a large and well respected outdoor goods supplier, so buying a grill in the RoadTrip range is a good investment. When you choose something that is both popular and backed by a large manufacturer, you can ensure that you will always be able to get replacement parts in the future. 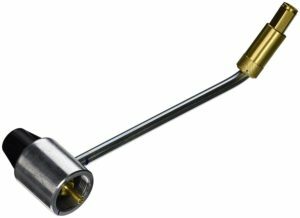 With the RoadTrip range, you will enjoy standardized parts which makes finding a regulator quite simple. The Coleman 5430 Regulator is the standard replacement part to fit a variety of portable Coleman grills and stoves, including some RoadTrip models. This regulator is used with disposable Coleman pressurized gas cylinders, and cannot be used with larger propane tanks. 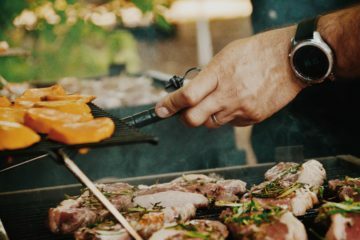 Keep in mind that your grill is designed for portable use, so the regulator has been engineered with small and lightweight gas bottles in mind. Replacing the regulator on your portable Coleman grill is a simple job and the only tool needed is a small pair of pliers. Inspect the rear side of your Coleman RoadTrip grill and note the existing regulator. It will be secured to the grill with a brass colored nut. Turn the nut counter clockwise to remove the regulator. If it cannot be removed by hand, then use a pair of pliers to remove it. Take your new regulator and line it up to the connection on your RoadTrip grill. Insert the regulator into the connector port. The nut should be sufficiently tightened by hand, but you may use pliers to ensure it is completely secure. Be sure not to overtighten the nut, which could damage the thread and connector on your grill. What to Do If You Can’t Find a Regulator for Your RoadTrip Grill? The Coleman 5430 Regulator is suitable for most RoadTrip grills, however, there will be some models which use regulators that aren’t offered through third party suppliers. If you find yourself in this situation, contact Coleman directly for warranty and parts service. Replacing your regulator is a simple job and it will greatly extend the lifetime of your grill. Whether you’re experienced or completely new to gas grill maintenance, this is one of the most important repairs that you can know.